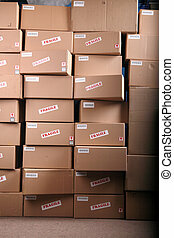 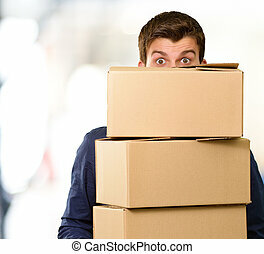 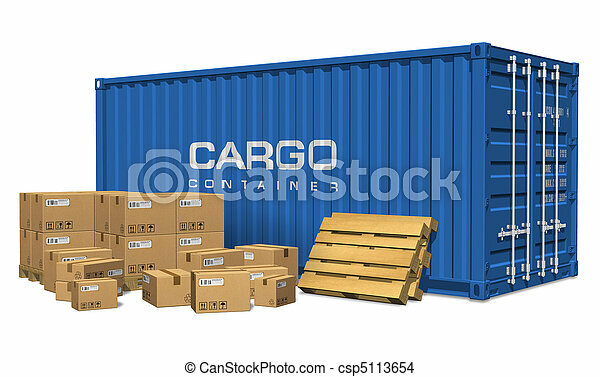 Cardboard boxes and cargo container. 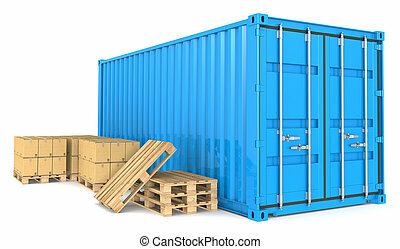 Blue Cargo Container, pallets and cardboard boxes. 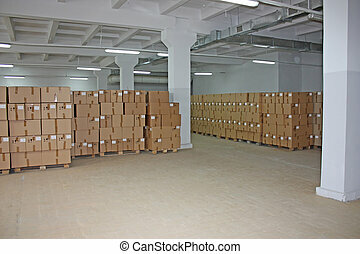 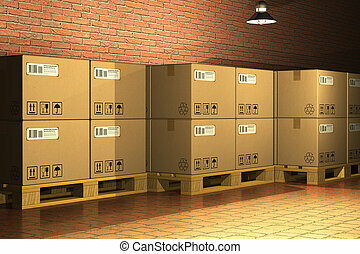 Warehouse and distribution series. 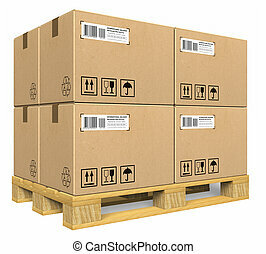 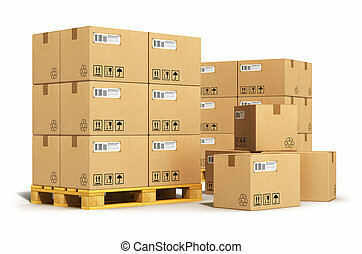 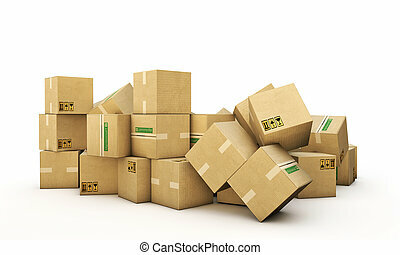 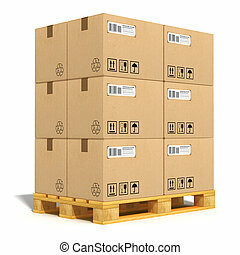 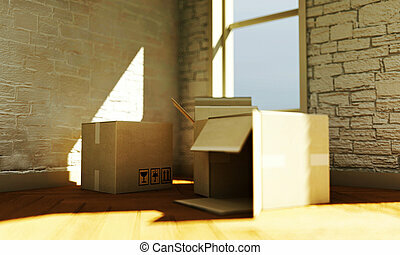 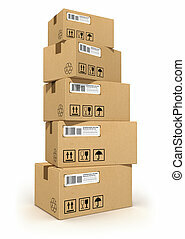 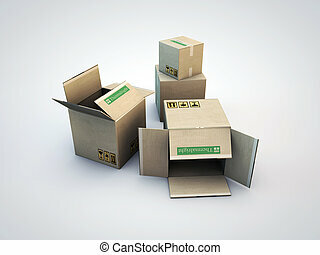 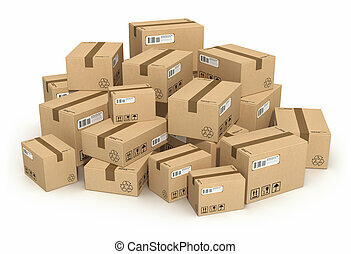 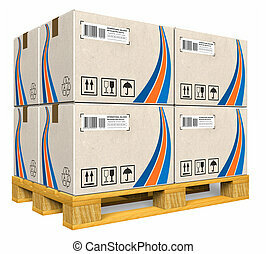 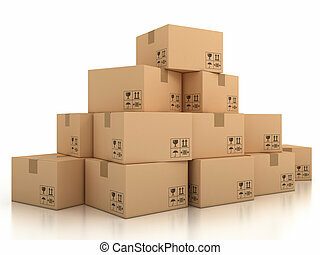 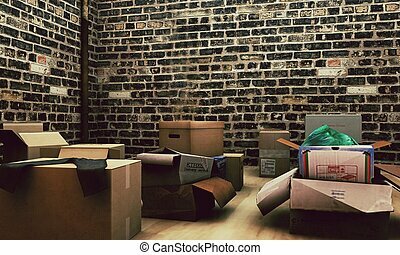 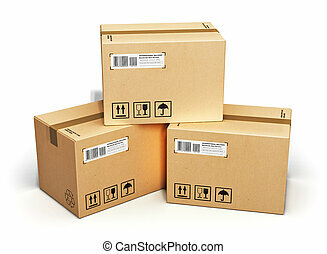 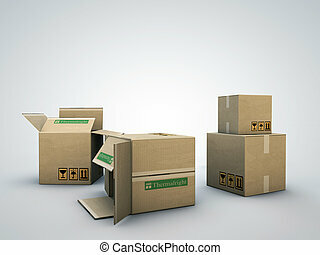 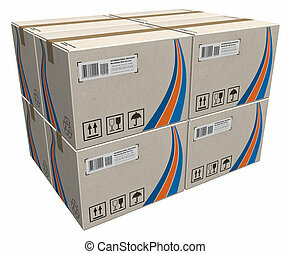 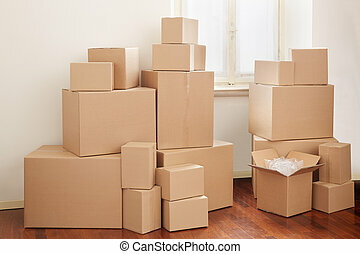 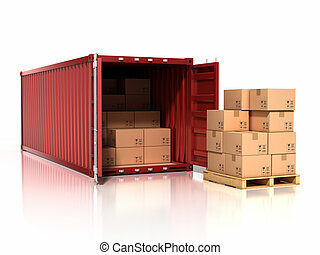 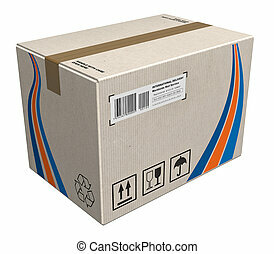 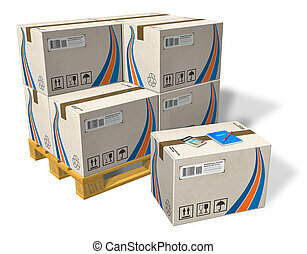 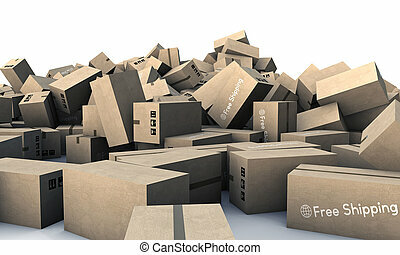 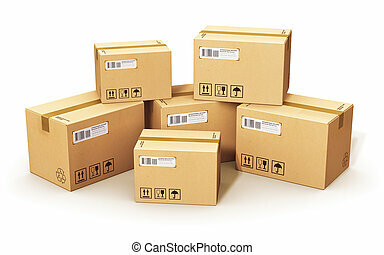 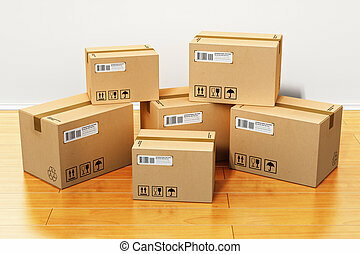 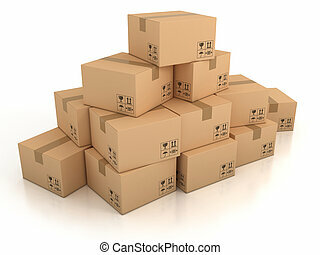 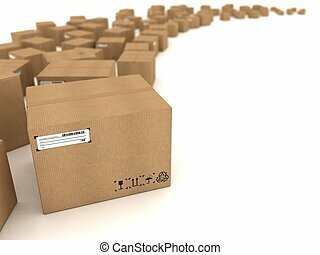 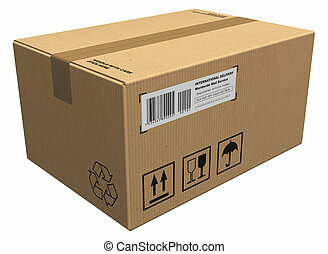 Set of different size cardboard boxes isolated on white background *** I confirm that all text labels and numbers are absolutely fictional and added just to improve photorealistic look of this 3D rendered image. 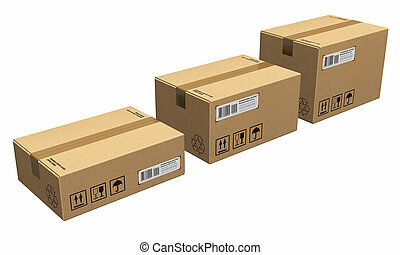 Great thanks!